With one data engine, XLQ allows you to work with data from multiple sources simultaneously in different programs e.g. Microsoft Excel, xlqCompanion, directly in the windows taskbar, via most programming languages or programs supporting a COM. If you know how to use excel, you already know how to start using xlq. XLQ connects automatically with excel. 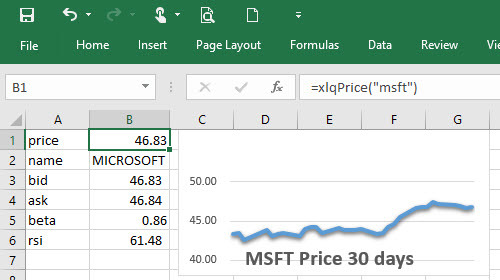 To start retrieving up to date data in your existing workbook, simply type =xlqPrice("msft") in a cell. Sample spreadsheets are also included. 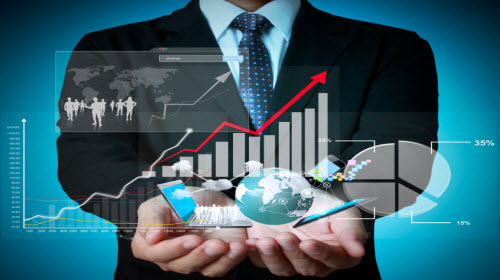 XLQ allows you to work with market data as you want. No pre-conceived idea or program limitations. You may mix and match streaming real-time tick data, real-time or delayed snapshots, Intraday (tick or x minute series), Historic (day, week and month) data or detailed financial and fundamental data along with your own calculations. 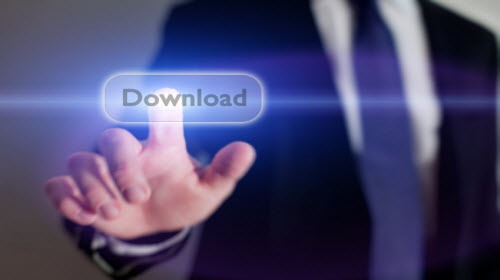 Just download and start using it. The trial will function with no limitations for 45 days giving plenty of time to explore its usefulness and probably help improve your existing solutions. 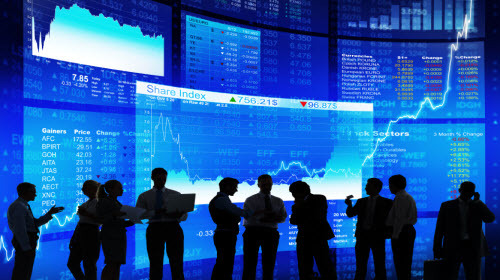 XLQ allows you to work with market data in the way you want. No interface or program design restrictions. Create your own layout or easily modify any existing spreadsheets to have them always updated and up to date, even in real-time. XLQ has been constantly developed and improved since 2000, making it a stable, reliable and time-tested solution. But if you have a problem, a question or a wanted feature, support via email is direct with the programmer. Not sure if xlq is for you, or will cover your needs? Just download and try it. You may install and use a fully functional version of xlqPlus, no limits, no nag screens, no timeouts, for 45 days before deciding if you wish to purchase. By the way your program is excellent. Over the years I have built quite an extensive stock management program using vba and excel. It pulled data from several different financial databases and the web in addition to performing complex computations to generate buy sell hold signals. When I found your xlq program it eliminated 95% of the programming I had to do and significantly enhanced my analysis capability. I now rely on xlq almost exclusively. I can't thank you enough for your work on xlq and wish all the best to you. I congratulate you on a great product. I started using XLQplus last week and it works the way software should. I’ve been a programmer for 25 years (co-founder of ------) so I know a little about software. Unlike most software, XLQ just works; and works transparently without any set-up or fussing around. It has already saved me a couple of hours a day and allowed me to do additional analyses. Thanks for a great product at a great price. Supports Microsoft Excel 2000 to 2019 (Windows Vista to 10). Available in 2 versions, xlqPlus and xlq2 (32 and 64 bit). Work with multiple data sources simultaneously (free and subscription). Historic, Streaming, Real-time, Delayed and Intraday quotes. Detailed fundamental data (xlq provides an excel and com interface to AAII's renowned Stock Investor Pro Database). 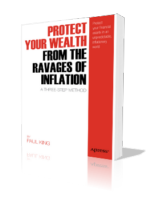 Covers worldwide stock, index, fund, options, futures and currency data. Built in Trailing Stop calculations and alerts via xlqCompanion. May be used through VBA to create custom formulae and analysis routines as well as via excel charts. xlqPlus / xlq2 provides formulae allowing you to use all of AAII's Stock Investor pro data in excel and through xlq's COM interface, allowing for new levels of custom analysis. Over 3000 data points for around 7000 companies covering quarterly and yearly historic P&L, balance sheet, and cash flow. Can work with up to 5 different databases simultaneously, allowing for numerous back testing possibilities. via xlqPlus / xlq2 you can work with data for cryptocurrencies from CoinMarketCap (currently over 1300). You would need to enter your CMC token into xlq. The functionality supported is the same for all their subscription levels, including the Basic / free subscription. Via xlq you can work with Google Finance download data covering historic data for a number of different markets around the world. xlqPlus / xlq2 supports streaming real-time data as well as intraday backfill and historic data from Interactive Brokers for numerous markets and products around the world. Interactive Brokers provides direct access trade execution and clearing services to individuals, advisors, institutions, and brokers at deep discount commissions. Interactive Brokers premier technology allows customers to trade stocks, options, futures, forex, and bonds on over 50 markets worldwide from a single IB Universal account at best execution prices. Interactive Brokers and its affiliates execute over 20% of US options trades, and IB Group was ranked by Institutional Investor as the 16th largest US securities firm with $2.1 billion in capital. Requires an account with Interactivebrokers and works with your the data with which you have a subscription. xlq2 supports real-time snapshots, historic and fundamental data from IEX. Note: iex will be ending their free data service around the middle of the year. Alternative solutions with them are being looked into for it's replacement. 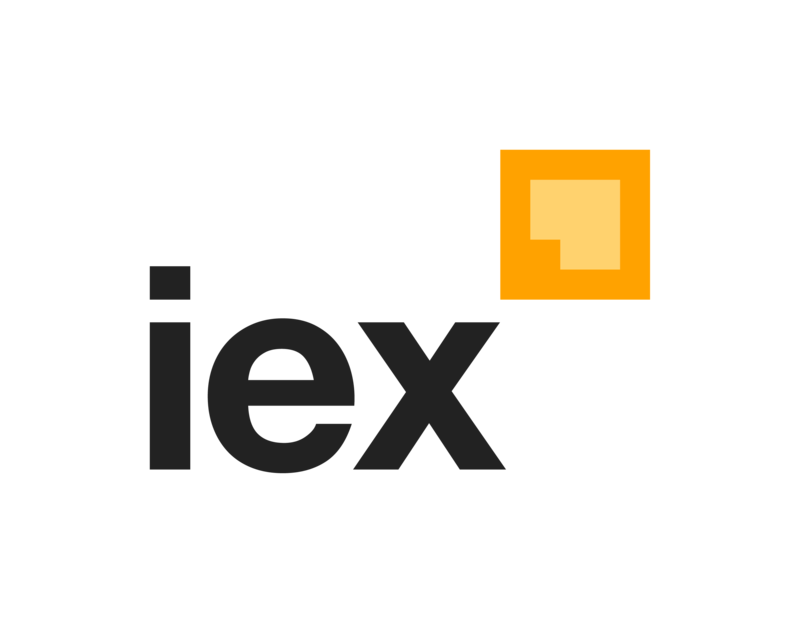 Founded in 2012 and headquartered in New York City, IEX introduced its first trading venue in 2013 and launched as a U.S. stock exchange in 2016. IEX is the stock exchange that believes that every investor has the right to trade on equal and fair terms, on every trade. Streaming real-time data for US and Canadian Equities. Real-time or Delayed Options and International Futures data. Historic Day / Week and Month Data. includes almost 50 additional formulae covering their detailed quote data. At least 500 simultaneous streaming symbols with IQFeed (up to 2500), 1800 with DTN.IQ. xlq2 supports historic data for US and Australian equities, indexes, futures and forex from Norgate Data via NDU. Adjust data as needed, can work with data adjusted for dividends, and non adjusted at the same time. Market data back to 1950. Amount of data depends on subscription level with Norgate Data. 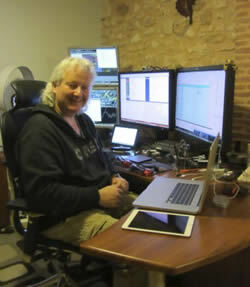 xlq2 supports historic equities, options and indexes for US and Canadian symbols from Stockwatch. Unlike other sources this data is retrieved per market day for all symbols traded and not by symbol. At minimum the intermediate subscription with them is required. CSV files are also stored per day for alternate processing if needed. xlqPlus / xlq2 supports streaming real-time data for US equities and options from TDAmeritrade. Streaming real-time data for US Equities, Indexes and Options (up to 600 simultaneous symbols). Intraday backfill and historic data for US Equities. Market Data is free for (non-professional) TDAmeritrade Account Holders. - No monthly data fees or maintenance costs. xlqPlus / xlq2 supports historic and real-time snapshot data for US and Chinese equities, funds and crypto currencies from Tiingo. Historic equity data from the 1960's. Their free and subscription data is support. Requires signup with them to receive a token. Via xlq you can work with Yahoo Finance download data covering delayed snapshots and historic data for a number of different markets around the world. XLQ Data engine, including the stock manager and data views available by right-clicking the Q in the task bar. Enhanced data processing (redesigned to handle more data simultaneously. Enhanced views (can filter data across multiple columns) including symbol selection. Historic Period View to view data for all symbols for a specific market day. Norgate views covering all underlying symbols from Norgate Data includes summary and constituent views. Extra views covering dividends, splits, earnings and financials. COM interface. Use formulae from any program or programming language supporting COM. xlqCompanion. A grid based portfolio or stock list manager. Around 40 formulae covering basic historic price information such as price, bid, ask, size, volume, high, low, time, yield, price per earnings etc. Over 70 extra formulae covering other information such as dividend amount, institutional %, beta, open interest, delta, gamma, vega, theta, rho, volatility, split date etc. Over 40 extra formulae covering other information such as short interest, insider %, float, cash, debt, revenue per share, revenue per employee etc. and additional calculated values based on preference settings such as SMA,EMA, MACD, True Range, DMI, ADX etc. Around 50 pre-calculated formulae (based on preference settings) such as RSI, CCI, LSMA, Stochastics, Williams %R, Bollinger Bands, Kaufmann Er, PPO, PSAR, Force Index, Trix, Fractal Dimension, Connors RSI, Keltner Channels, Vortex Indicator etc. Same as 'xlqh' but allows for 'on the fly' calculations with intervals and options specified as parameters for unlimited calculation possibilities (around 70 formulae). Possible to calculate results on a series into the current trading day and last real-time price. Returns calculation results based on start and end dates. e.g. highest close or date (or highest high, lowest low etc. ), drawdown or drawup, rate of return, StdDev, mean etc. Like historic data, but on an X minute interval returning basic market information such as open, close, low, high, volume, change, or for tick data bid + size, ask + size, last price + size. Backfill data is automatically requested from supported sources. Like the xlqxh formulae, returns calculated results on an X minute interval for around 70 formulae. Returns results for over 3000 fields from the AAII Stock Investor Pro database (if installed). Covering income statement, balance sheet and a lot of other financial and fundamental data for listed companies, as well as their sector and industry. Full list included in additinal sample xls. not all data-sources return the same information. Certain formulae would only return results depending on the source used. xlqLite is no longer sold, it ismaintained for existing subscribers only.